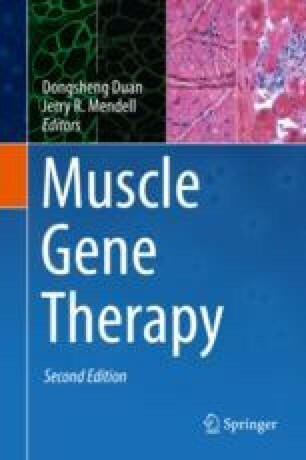 Muscular dystrophy-dystroglycanopathies (MDDGs) are neuromuscular disorders associated with aberrant O-glycosylation of α-dystroglycan—an extracellular peripheral membrane glycoprotein central to the dystrophin-glycoprotein complex. The majority of these disorders are caused by loss-of-function mutations in a multitude of genes that disrupt the posttranslational modification of α-dystroglycan, affecting its ability to function as a receptor for extracellular matrix proteins containing laminin globular domains. As a result, clinical manifestations of MDDGs are highly variable, exhibiting a wide spectrum of clinical phenotypes including mild to severe defects in the development of the muscles, brain, and/or eyes. Over the last couple of decades, significant progress has been made in the elucidation of O-mannosyl glycan structures on α-dystroglycan and characterization of the underlying mechanisms of MDDGs, which has prompted concerted efforts toward the development and evaluation of potential clinical treatment options. Current genetic engineering efforts designed to treat MDDGs employ adeno-associated virus (AAV)-mediated delivery of expression vectors for gene replacement/supplementation and antisense oligonucleotide (AON) splice-modulation therapy to suppress exon trapping. Future therapeutic strategies are focused on the optimization of these current technologies and exploration of newer technologies such as genome editing. In this chapter, we address the disruption of functional α-dystroglycan as it relates to various clinical manifestations and highlight the potential genetic engineering strategies for treating MDDGs with an emphasis on preclinical data. We also discuss the problems that must be solved before effective treatment options are readily available. This work was supported by the Carolinas Muscular Dystrophy Research Endowment at the Atrium Health Foundation and Carolinas Medical Center, Charlotte, NC.